My paternal grandmother, Delia, always referred to the British as the “Evil English Oppressors.” Having been born in Armagh, the only Catholic county in what is now Northern Ireland and immigrating to the United States as a teen-ager, you can see where she was coming from when it came to the United Kingdom. But I have to wonder what she would say about my paying to see with my wife, also an Irish-American, and both of us truly enjoying “Darkest Hour,” a “talkie,” and “Dunkirk,” a “movie” — excellent Hollywood historical dramas on Britain’s survival in 1940. Now, I wonder how our current president, the man that hurls Tomahawk missiles into Syria with the same effectiveness that Bill Clinton fired them into Sudan [Assad’s still in power; bin Laden moved to Afghanistan], reacted to either of these two movies. After all, he’s said we as a people would soon be tired of so much “winning” with him in the White House. He’s there, but I’m not sure if we’re “winning” at anything . [Based on the charts, graphs and stories, Lillian and I will be in that group with higher taxes ad infinitum; in his immortal tweets, “LOSERS!!!!”]. So although Michael Wolff’s “Fire and Fury” insists the president bores easily — couldn’t get past the “search and seizure clause” in the explanation of the Constitution. 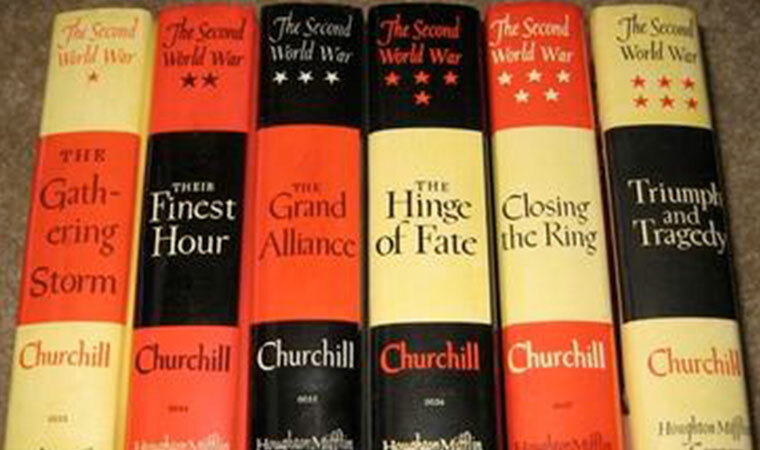 I offer a selection of books, including Winston Churchill’s “How I Won World War II — with a little bitty help from my friends” chronicles. If explained, that these books are really pre-cursors of “Art of the Deal” that should have been assigned when he was either at Fordham or Penn. Delia is turning in her grave. After all, Churchill played a leading role in splitting Ireland. He called the IRA “squalid murderers” in 1919. Never asked what how she felt about the PM, but I am sure they were not kind thoughts.